The Fish Eagle's call of Africa invites you to your dream holiday destination in the heart of Zululand, KwaZulu Natal, South Africa. 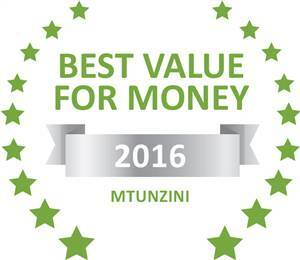 Mtunzini is approximately 135km's North of Durban and 42 km's South of Richards Bay. The beach area and lagoon forms part of the uMlalazi Nature Reserve. 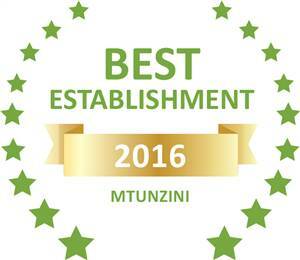 Mtunzini forms part of the most popular tourist destinations in KwaZulu-Natal. Enjoy your breakfast or sundowner on sun deck. A private three bedroom, first floor, self catering cottage in our garden in Mtunzini. The spacious 3 bedroom cottage sleeps eight, one bedroom with a double bed, one with two single beds and the third with two single beds and one bunk bed. The kitchen is fully equipped and forms part of the open plan dining & living room. There are two bathrooms, one with a bath and the other with a shower. The main bedroom is air conditioned and all the other rooms are equipped with overhead fans. DSTV. There is also a thatsh barbeque lapa and pool. Enjoy your stay in this completely private and quiet wooden cabin surrounded by trees, plants & and a variety of bird species. The luxurious one bedroom cottage, sleeps two, also self catering. It has an overhead fan, DSTV, a bathroom with a shower, a fully equipped kitchen & barbeque facilities on deck and pool. A luxurious one bedroom cottage, sleeps two, also self catering. It has an overhead fan, DStv, a bathroom with a shower, a fully equipped kitchen & barbeque facilities on deck and pool. A private spacious three bedroom, first floor, self catering cottage in our garden in Mtunzini. The cottage sleeps eight, one bedroom with a double bed, one with two single beds and the third with two single beds and one bunk bed. The kitchen is fully equipped and forms part of the open plan dining & living room. There are two bathrooms, one with a bath and the other with a shower. There is an airconditioner in the main bedroom and all the other rooms are equipped with overhead fans. DSTV available. 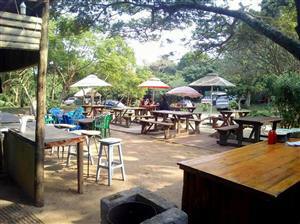 There is also a thatch barbeque lapa and pool. A lovely and clean cottage to stay in for 2 people with everything you could possibly need including a small pool to cool off in. The owner Roy is a friendly, great person only too willing to assist with anything you need. 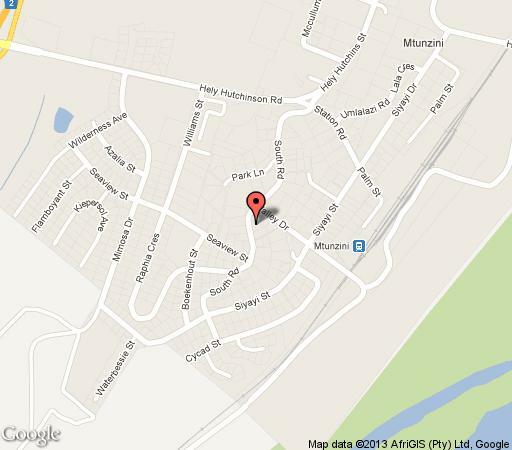 I would highly recommend this to anyone looking for a place to stay in Mtunzini.